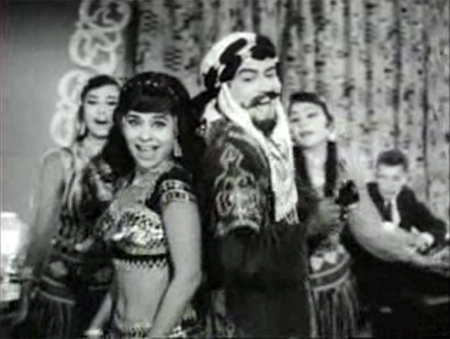 It stars a young and very handsome Sanjeev Kumar opposite the lovely Kumkum, and alongside Sheikh Mukhtar. Sheikh Mukhtar lives in my mind as a beefy, wooden, Arnold Schwarzenegger-Dara Singh love child. I can forgive him everything though, because he is in such fun films. In this, he plays honest and upright Inspector Rajan on the trail of a gang smuggling “jaali notes”—counterfeited money. We know they are dangerous because the shadowy Boss kills an underperforming underling near the very beginning. 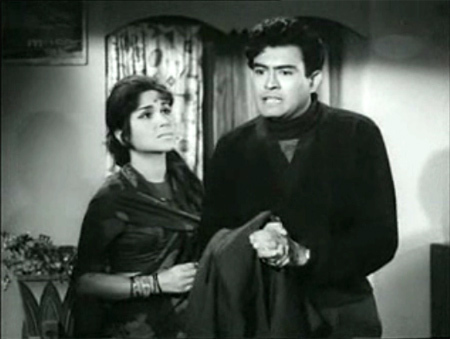 Rajan lives happily with his wife Rekha (Purnima) and son, and his younger brother Mohan (Sanjeev Kumar) who is wooing Bela (Kumkum) against her uncle’s wishes. On his son’s birthday, a large bribe (presumably real) is sent in a box to Rajan with a note from the gang. He does the right thing and turns it in to his superiors. We meet con-artist Banarsilal (Mukri) who smashes bottles of fake whiskey against opening car doors and then weeps inconsolably until the car’s owner gives him 10 Rs for another bottle of “English” whiskey. In the evening, he becomes acquainted with Mohan and Bela at a nightclub where he is now posing as a wealthy businessman from London. 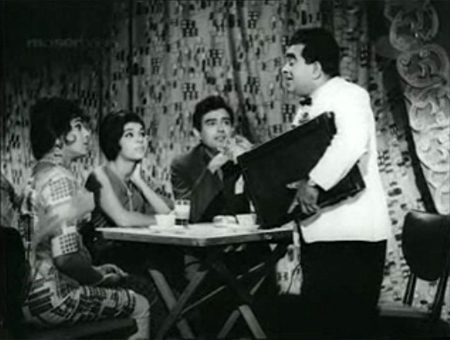 A gang moll delivering a briefcase full of money mistakes Banarsilal for the intended recipient and gives him the money, much to his surprise (and joy). When the real gang members realize what’s happened, they quickly spot him (they’d be really stupid if they couldn’t). 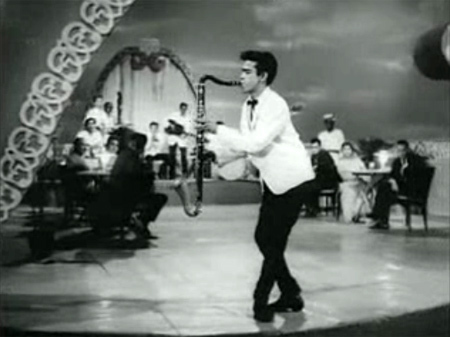 Cue a lovely Helen song complete with fabulousness in the form of a dancing sax player who looks very much like Oscar, and probably IS. Of course nothing and no-one is as fabulous as Helen herself though. The gang waits until she’s finished with her song (thank goodness!) and then they plunge the club into darkness and try to retrieve the case full of money from Banarsilal. Mohan and Bela, thinking that the money belongs to him, help him fight them off—and then Mohan takes him home to meet big brother Rajan so he can file a police complaint against his attackers. When Banarsilal discovers whose home he’s in, it’s too late!—Rajan recognizes him and confiscates the case, and Banarsilal confesses the truth to Mohan and Rajan. He then agrees to use his con-man skills for the greater good, and discovers where the fake currency is manufactured. We also find out that Rajan and Rekha have money problems, and there’s an argument with Mohan about something (I’m thinking he maybe tells them he wants to quit school and help out, and they refuse to let him, but I could be way off-base on that one). 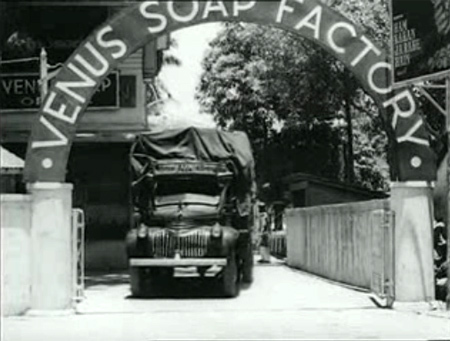 In any case, Rajan is given the task of stopping the Venus Soap Factory truck at a checkpoint. When he stops the truck to inspect the goods, the goonda accompanying the driver sticks a gun in his ribs. He tells Rajan that he can let them go through and he’ll get a lakh reward, or he can die on the spot. Rajan waves the truck through, but is seen doing this by some of his fellow officers, who report him to the Commissioner. He is suspended from the police force and sent home, where a box containing one lakh rupees is waiting for him. 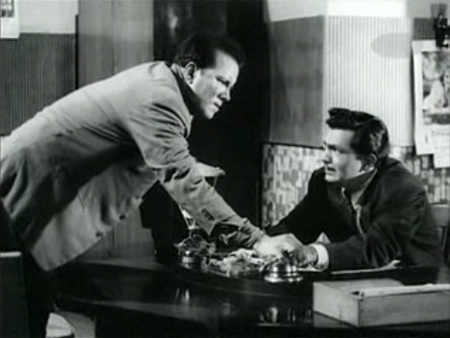 Mohan catches him stuffing the money into a cupboard and tries to convince him to take it to the police, but before Rajan can do anything the police arrive—and they arrest him. It doesn’t take long for him to escape, and he goes to the Venus Soap Factory for some reason which I am not quite sure of—either to ask them for a job, or to exact some sort of revenge, maybe?—but a couple of havaldars arrive and he flees. 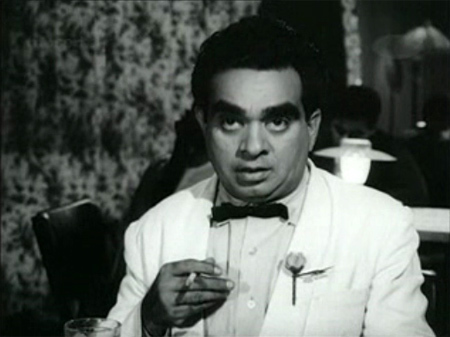 That evening Mohan comes home clearly disturbed about his brother’s fate, and Sanjeev Kumar wrings every bit of emotion out of his little speech. I have no idea what he says, but he *acts* his heart out. 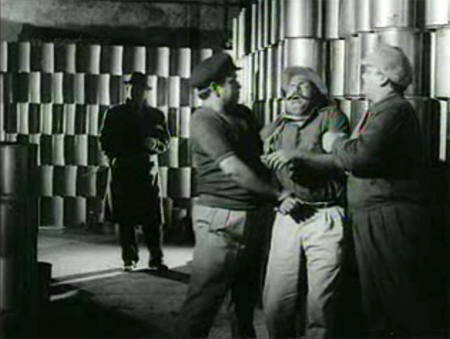 The rest of the film basically shows Rajan joining the gang (where he is called “Number 31!”), and Mohan and Banarsilal (now fast friends) trying to outwit the gang (presumably to save Rajan from himself). 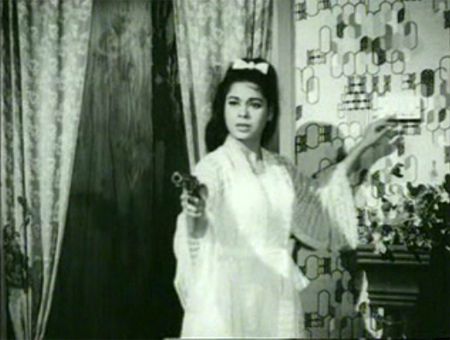 There is another lively song or two (including a mujra by Madhumati) and plenty of disguises, shadowy skulking, and dishoom-dishoom before our story ends. Smuggler is good fun if you don’t mind one actor who doesn’t act and another who completely overacts sharing screen space. The songs are lovely, and so is Kumkum—I wish she’d had more screen time, but she was pretty fierce when she did. And how I would love to see that wallpaper in color! Edited to add: Atul has uploaded all the songs in his dailymotion account—or you can wait for him to post them on his blog! Posted on August 19, 2009 at 3:54 pm in Hindi movies	| RSS feed You can skip to the end and leave a reply. I didn’t make it through this one, but based on your review I might give it a second chance. I love Kum Kum. Like Helen, she’s another actress who seemed to get meatier roles in B movies, though obviously not so much in this case. The endless dishoom in the second half (along with Sanjeev K’s scenery munching) got a bit tiresome, but I loved the songs and the first half of it moved along nicely. Subtitles would have probably helped the second half a fair amount, I wasn’t always sure what they were all going on about. Ha ha…Ganesh, GS Kohli, S.Mohinder…all Atul’s favourites. Thanks to both of you, a lot of obscure movies, actors, music is coming back into circulation. Which is actually terrific because most of it is pretty good – it just did not get due recognition in its time, for whatever reason. I am also a fan of B- and C-grade movies, like we have discussed before. Yes, Atul and I have very much the same taste in music and movies :-P Some of these films are much better than their A-grade relatives! 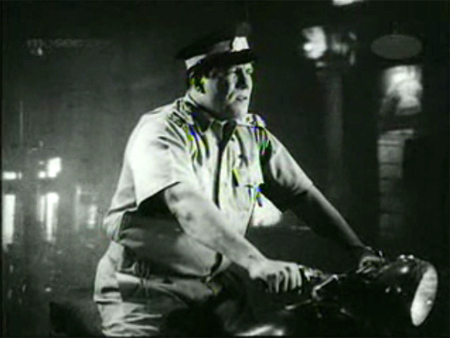 Sheikh Mukhtar is an even worse actor than Dara Singh, and he’s even bigger I think. But as I said—it doesn’t matter, he does well enough in these fun films, and actually I think he was better in Shabnam so maybe it was just this role or something. This sounds like fun! I love young Sanjeev Kumar even when he is scenery chewing – so much more interesting than his “intense” acting! lol at Sheikh Mukhtar being a Dara-Schwarzenegger love-child, though I do think even Sheikh Mukhtar would be better than anything to do with Schwarzenegger! Is Helen there only for an item number? Schwarzenegger has done a few fun films :-) Yes, Helen is only in the one song in this, but Kum Kum kind of makes up for that—she is really lovely. 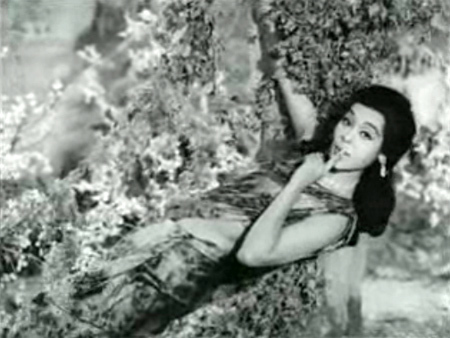 Btw memsaab, I’m going to post volume 3 of my Helen compilation DVD this weekend. Hope u can grab a copy! I certainly will, have very much enjoyed having Vols 1 & 2 in my collection! ‘Shoots an underperforming underling’ rofl .. I am sure my boss would love to do that to me. I would loved to have done that to a couple of people who reported to me! I think right about now MY boss is feeling the same about me too! sure your progress even in this area is very good. “Underperforming” underling- The “boss” who hides his identity zealously and whose identity is not known to anyone including the gang members interrogates the “underperformer” (who is a driver) about what inspector Rajan asked him when the inspector stopped his vehicle earlier in the day. The driver tells him that he did not tell the inspector anything, and that the inspector only saw his driving license. “Did he not see your diary ?”- the boss enquires. “Yes, he did”- the driver admits. “That diary had the car number of the vehicle in which number 35 was supposed to drive away. So it was because of you that the inspector came to know about the car number of Number 35”- the boss states. The boss has a policy that he does not allow his underlings the luxury of luxury of committing a second lapse. His first lapse cost the gang the life of number 35, so the driver must pay for it. And therefore the boss orders his execuation. 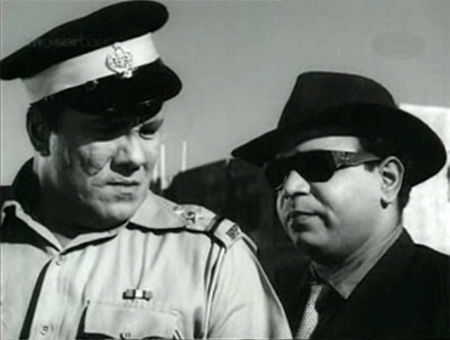 Inspector Rajan’s “financial problems”- His younger brother is required to be sent to England for higher studies and for that he has to arrange for money. The bribe of Rs 1 lakh (Rs 100000) was definitely going to come handy for this purpose. Sanjiv Kumar indeed states that he does not want to be a burden on his brother and he is not interested in going abroad for further studies.Of course, the big brother will have none of it.As a elder brother, it is his duly to send him abroad, he states. He also takes exception where his wife offers to sell her jewellery ( including Bollywood movies’ sacrosanct “mangalsutra”) to finance Sanjiv Kumar’s foreign eduction. Inspector tells Sanjiv Kumar- “your Bhabhi humiliated me by talking of selling her “Mangalsutra”, and don’t you dare humiliate me too.” Good emotional stuff, indeed. How fugitive inspector reached the den of the “boss”- The inspector, on run from police, goes to a kotha and watches the mujra performed by Madhumati. After the mujra, he comes across a gang member and he has a fisticuff with him, accusing the gang ( between the fisticuff) of tipping off police about the bribe. The gangster denies the charge. He states that they lost the money as well as his services as a result of this development which is not what the gang would have wanted. the gangster also tells Rajan that he could be given a job by the boss if he is interested. It is after this conversation that Rajan is taken before the “boss” who offers him a job and his identity in the gang is as number 31. Well I guess that makes Aspi a good director, because I enjoy his films whether they are subtitled or not :-) Although the songs really add a lot, too, and I wouldn’t want to have to do without them. Many people don’t know. One day Aspi Irani went to see his tenant and till today he has not come back. Ooh, I think I must have this VCD in a stack someplace. I know I went on a wild Kum Kum buying frenzy a couple of times in the past. Gosh only knows what I have waiting to be viewed, I love her so. She reminds me so very much of a 1950S American B movie actress named Lynn Bernay (VIKING WOMEN AND THE SEA SERPENT, ROCK ALL NIGHT, NIGHT OF EVIL, GHOST OF THE CHINA SEAS). They actually resemble each other quite a lot. Kum Kum is fab. I can see why you went on that buying spree! :-) She reminds me of someone too, although I know it isn’t Lynn Bernay. a very good review of old Hindi films indeed.you can check out some other hindi films like Ittefaq(1969) and Humraaz (another old hindi film).Ittefaq is a thriller copied from an American film (Signpost for Murder).It is one of the few films which doesn’t have songs. Had this one a while and have just started watching it, and really watching since there are no subs to read! But after reading about Edwina here, even thought you don’t mention it, I think she is the “gang moll” who hands over the suitcase of money. What do you think? Edu informs that she is there in this movie. We were not familar with her at that time when this review was written and so we could not identify her at that time.